Below are a few of the Service Projects our club has completed recently. This is our way of placing service above self, giving back to the community that has given us so much, and reaching out to make a difference abroad. We’ve finished 2017 and started 2018 with bang, completing many local and international projects, as well as fundraisers to ensure our club can continue to do great work. Take a look at some of our recent projects below. Cardiac arrest is a deadly medical condition that can strike anyone at any time. According to the National Safety Council, greater access to defibrillators (AEDs) Could Save 40,000 Lives Each Year. Our club partnered with several other community organizations, as well as Whidbey Telecom to purchase and install 3 AEDs at strategic outdoor locations on South Whidbey. The first was installed on Main Street in Freeland, in front of WiFire, the second at South Whidbey Community Park, and the third at South Whidbey Sports Complex. WhidbeyTel installed dedicated 911 hardlines at each AED so that when an AED is activated, the nearby South Whidbey EMS services will be automatically notified and dispatched to the location. We are proud to announce that we will be purchasing and installing 2 more AEDs in the very near future. One will be placed in Langley on Anthes in front of the Big Gig building. Another will be placed at a strategic location in Bayview or Clinton, once we work with local experts to determine where it will have the most beneficial effect. Thanks to very generous members and the Rotary Club of Whidbey Westside, a senior couple will have a very special Christmas this year! 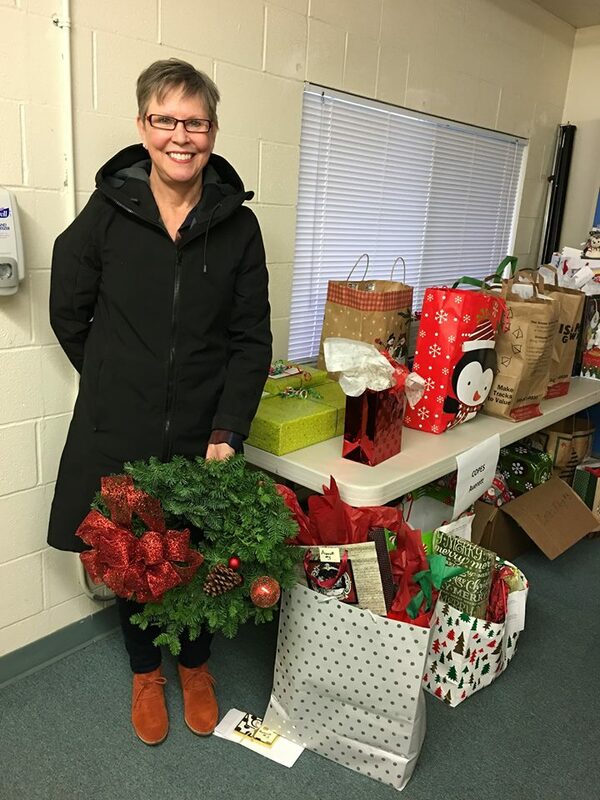 Working with the Adopt-A-Senior program at Island Senior Services and local businesses, our club donated almost $600 worth of goods and services for a needy couple in our Community! Thank you to all who shopped, asked, picked up, delivered, wrapped and cared! The true meaning of Christmas! Thanks to Rotarians from the Whidbey Westside Club who donated or purchased items, we were able to deliver 17 suitcases, 21 “onesie“ sleep sacks and 4 little beds to the Department of Social and Health Services today. 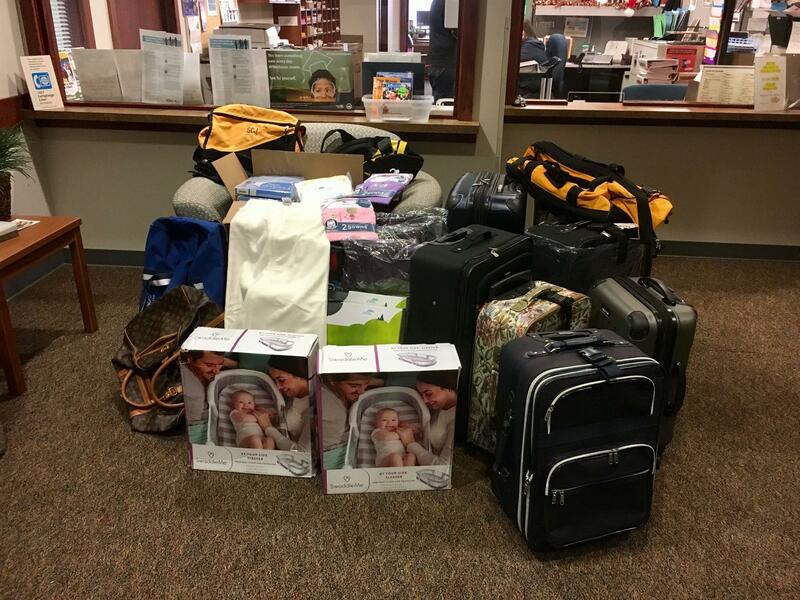 This “Suitcases for Foster Children” project was suggested by one of our members, Gwen Jones, and it was much appreciated by Katie, the Director of Children’s Administration who received the items. Katie’s first words were “Now our children can have real suitcases, instead of trash bags!” Special Thanks to Gwen Jones, Lyn Waldrop, Jane Helten, Billy Ducharme and Susan Torgan for helping with this project! 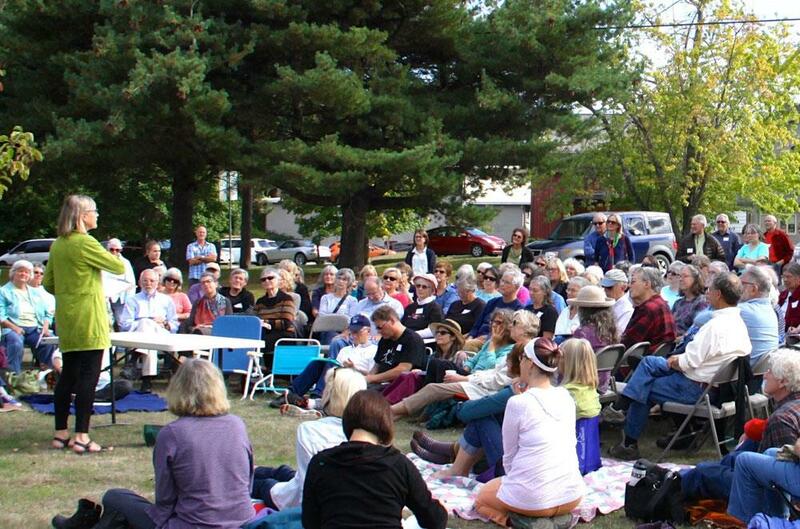 Whidbey Westside Club generously donated $1,000 to Lead-Up International. 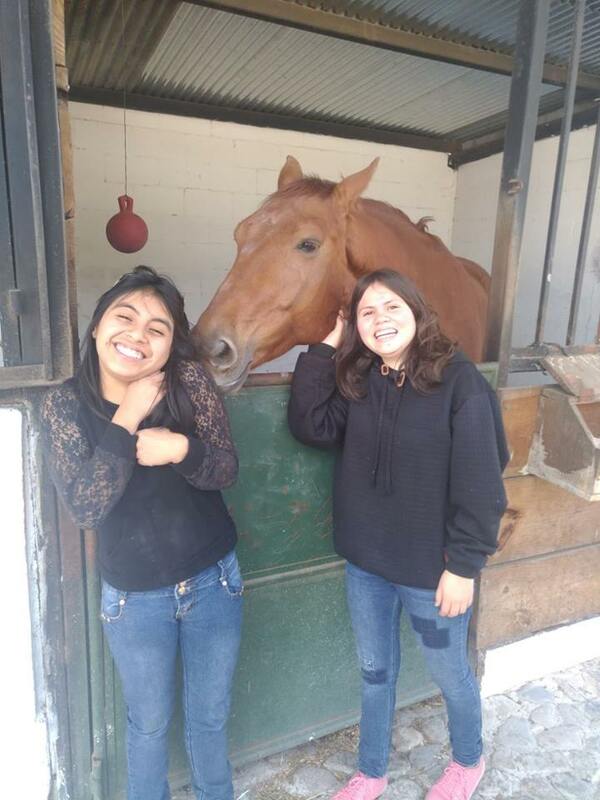 The purpose of Lead-Up International is to reduce violence in the community by creating peaceful leaders – men and women – utilizing equine-assisted therapy and non-verbal communication. They teach vulnerable youth about the power of non-violence, trust-based relationships and peaceful leadership. In some areas like Guatemala, youth are all too often subjected to violent upbringings and violent ways of life. The great work that Lead-Up does with local youth in Guatemala is a step towards ending this cycle of violence. Enso House is a home for people of all faiths who desire comfort care at the end of life. It is unique in its ability to provide emotional and spiritual support to individuals in the final phase of life. Enso House places special emphasis on caring for hospice patients who desire a supportive environment to deepen their spiritual exploration. The intention is to enable each individual to live the time remaining to them with grace and dignity and with full opportunity for inner healing, growth and completion. Our club visits Enso House regularly to assist with basic maintenance and improvements of the facility. We sponsored local High-School student Andrew Baesler as he participated in the Rotary District 5050 YES Program. The Youth Engaged in Service Program (YES) provides unique local and international service opportunities to high school Junior—Grade 11– students. YES touches many lives. Local community organizations receive hundreds of volunteer hours as each student commits to a minimum of eighty hours of meaningful service during the school year. 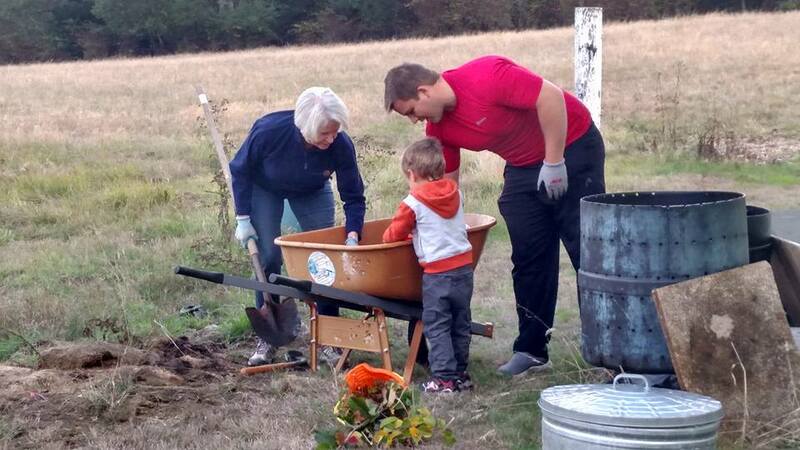 Villagers at international service sites are provided with much needed assistance and develop positive relationships with Americans and Canadians. Students experience a culture quite unlike their own causing them to reevaluate their priorities and goals. 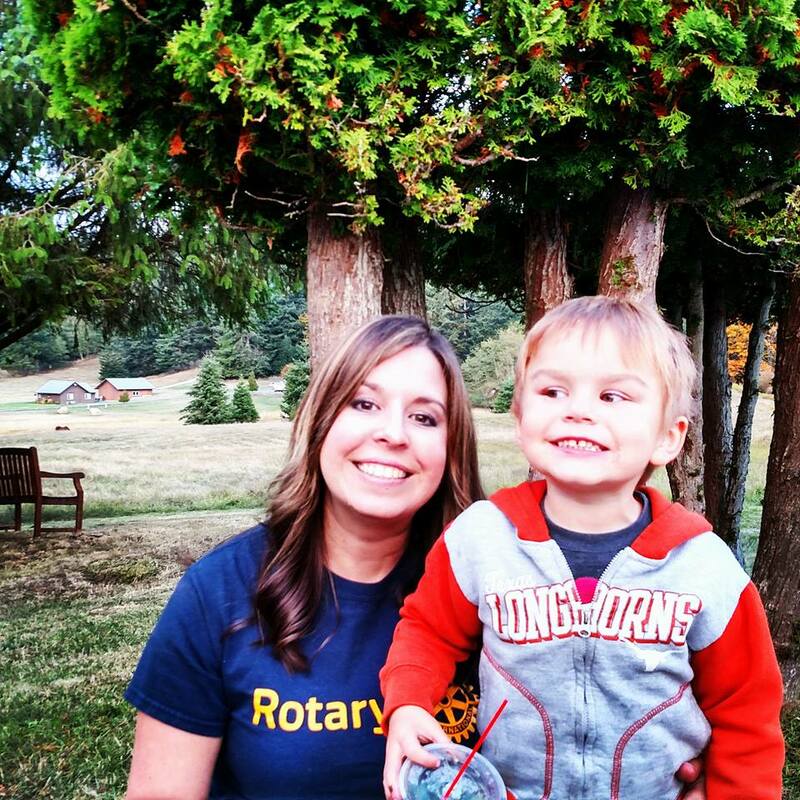 Rotarians become more enthusiastic about fundraising when they learn of the significant impact of their efforts. 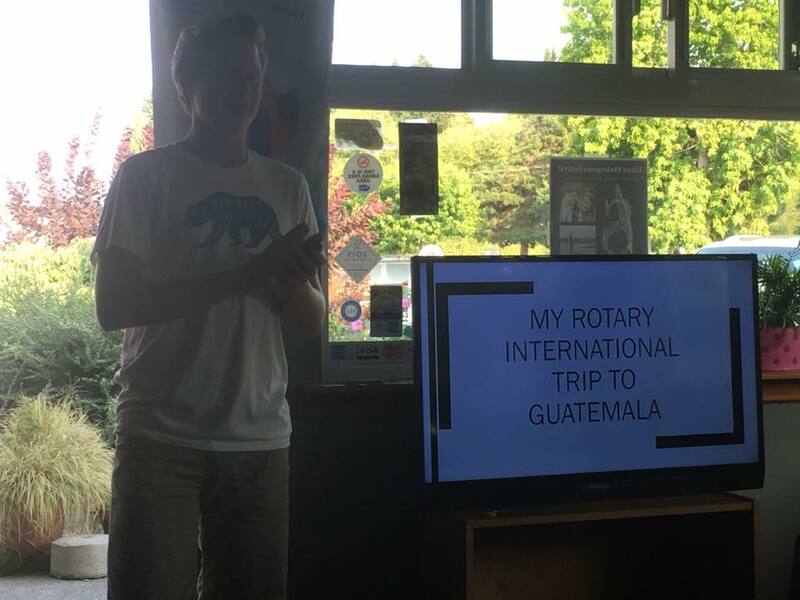 Andrew touched our Hearts with his stories of delivering and installing high-efficiency wood stoves to impoverished villages in Guatamala and the impact it had on the local people. 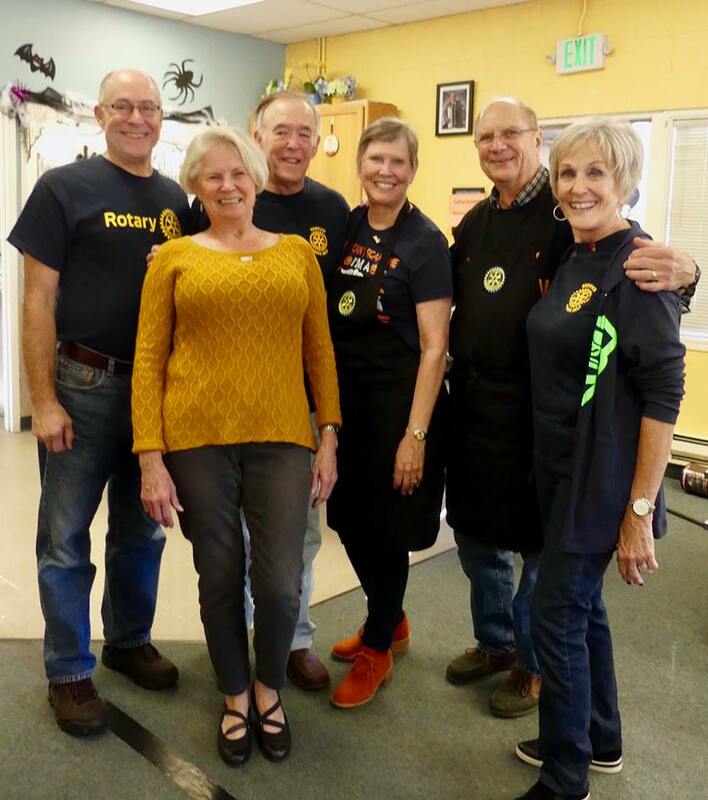 Our club regularly volunteers to serve at the Senior Services pancake breakfast which benefits the local Meals on Wheels program. 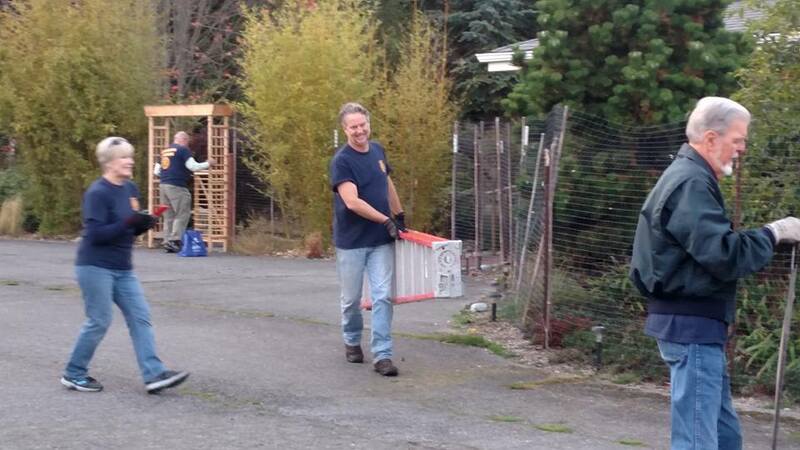 We donated the equivalent of a one-year family membership- to South Whidbey at Home. South Whidbey at Home is a membership-based nonprofit dedicated to helping older (55+) South Whidbey residents remain in their homes and active in the community by providing access to a variety of professional services, volunteer assistance, and social activities. We are committed to improving the well-being of our members by connecting people of all ages in a mutually beneficial way. 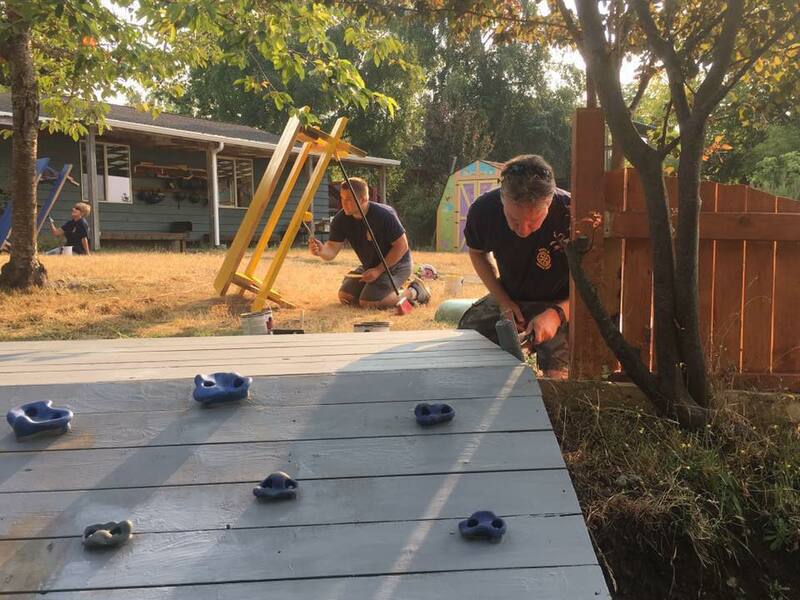 Our Club Built a climbing wall, picnic tables, fences, and improved a few other things at this local non-profit preschool and child-care facility. This is one of our ongoing projects. Every quarter, we make our way up and down a stretch of HWY 525 north of Freeland. It’s amazing how much garbage piles up on the side of the road and much of it is hazardous to vehicles, Bicycles, and Pedestrians. By cleaning up the garbage and debris, we hope to make our roads just a little safer and to help out the environment by reducing the amount of human generated waste and the impact it has on our flora and fauna. Enso House is a home for people of all faiths who desire comfort care at the end of life. Located in the Pacific Northwest and surrounded by the fields and forests of South Whidbey Island, Washington, Enso House provides a peaceful setting conducive to reflection, meditation and spiritual healing. Enso house is unique in its ability to provide emotional and spiritual support to individuals in the final phase of life. Many staff members are affiliated with the nearby Tahoma One Drop Zen Monastery, founded in 1995 by Zen Master Shodo Harada Roshi. Enso House began in 2001 as a result of his vision of a home for the dying where the qualities of humility, service, compassion, forgiveness deepen in those both giving and receiving care. We are happy to offer this great local organization our help and support however we can. Whether it be weeding and landscaping their Zen Gardens, providing property and building maintenance, or giving a good word in the community to raise awareness and support. Ryan’s House Vision Statement: Ryan’s House for Youth will offer a safe, home-like environment for at-risk and homeless teens. With the help of caring mentors, youth will find the tools to help heal and grow in their relationships, while giving them the opportunities to reach their highest potential. With so many homeless youth living in tough conditions on Whidbey Island, we believe that the Misiion of Ryan’s House is a noble one, and one that needs to be supported by us. Our club, and individual members of our club in their professional capacity have supported this organization by things as simple as putting together hygiene packs for homeless youth, and as necessary as surveying the property for the future Ryan’s House Headquarters, building and maintaining the Ryan’s House website, and much more. We look forward to continuing to do so in the future. Meerkerk Rhododendron Gardens, a not-for-profit garden open to the public, encompasses ten acres of display and educational gardens enveloped by forty-three acres of woodland preserve with 4+ miles of nature trails. We assisted this great educational organization by striping their parking lot and maintaining their hiking trails. The Hub is a great after school place for South Whidbey Youth to come together in a safe place. The Hub provides after school meals and support to South Whidbey Youth. As one of our flagship projects, we renovatedThe Hub’s kitchen facilities by refinishing and painting their outdated cabinetry, installing a new water heater, and performing other maintenance on their building. We have supported support this annual Whidbey Island bike race by preparing and removing route signage. On Monday, October 22nd 2012 the local Whidbey Westside Rotary Club presented Mrs. Anthony’s 1st, 2nd, and 3rd grade classes a check for $2000.00 to be used for the construction of a new swing set at the South Whidbey Elementary School. Our club received a matching-funds grant from Rotary International for toilets in the amount of $4,000.00 and for Kitchen equipment in the amount of $1,000.00 for our International Project – a school in Arusha Tunisia. In the past this school (which one of our members became acquainted with in her travels) had no toilets or kitchen equipment to cook food for students. Now, the school has full sanitation facilities and benefits from being able to prepare their own meals onsite, rather than having to bring food in to feed the students. As we all know, sanitation and hunger are some of the biggest problems in Africa, so we know that this project will help make a positive change in the lives of African students. These are just some of the projects we have worked on in the short life of our club. We hope to add many more to this list and succeed in our goal of Service Above Self.